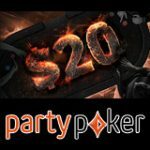 Winner is giving away €/$/£50 Free to new players who sign-up, with no deposit required. Enjoy an early Xmas present from Winner Casino, Poker and Bingo. 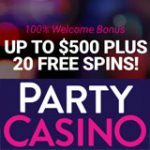 Sign-up and get free cash without risking a cent, the no deposit bonus is available for players to experience real money games for FREE! To qualify players must sign-up for a free Real Money account at Winner. 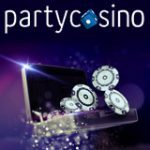 New players can sign-up and take advantage of the Winner No Deposit Bonus this Christmas, get free cash to play casino games, online poker and bingo online. To celebrate the new casino games section Winner are giving players €/$/£30 Free to play a selection of more than 50 online casino games. Games on offer include slots, card and table games and huge progressive jackpots. The No Deposit Bonus is issued instantly to new players when signing up for a free real money account. The sign-up bonus requires a minimum wagering of 50 times the bonus amount i.e. 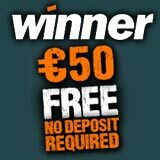 €30x50 = €1500, before winnings can be withdrawn. 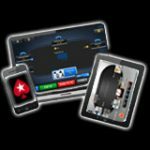 Sign-up here for the Winner Poker $10 Free bonus and play the heads-up poker series - Winner Poker DUSOP. The free €/$/£10 no deposit poker bonus will be credited to your player account within three hours of signing up as a new player. The DUSOP heads-up tournaments cost $1 per game, players earn 5 leaderboard points for each tournament they play, the top 50 ranking players will win their share of $500 in leaderboard prizes every 10 days. 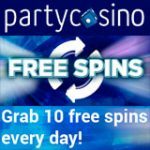 Players get €/$/£10 free no deposit bonus when signing up to Winner Bingo, play bingo online for FREE without risking a cent. The free bingo bonus offer is issued instantly once completing the registration process and logging in. This offer is only available to players who are at least 18 or older, the bonus has no cash value and can only be used to purchase bingo cards. Players must complete the wagering requirement of four times the bonus amount, i.e. £10x4 = £40 before withdrawing winnings. A deposit of at least £20 is also required, and the maximum a player can withdraw from their free bonus winning is £200. 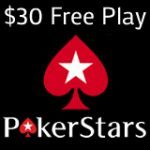 The free $10 no deposit poker bonus will be added to your new account within three hours of signing up as a new player.